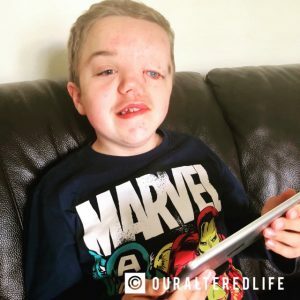 I am quite used to explaining why Harry’s face looks different to most nowadays and if facial disfigurement is something you would struggle to explain to your child then please check out my bog post on 7 ways to help your child understand facial disfigurement as the feedback has been brilliant! However, more recently as I have been delivering assemblies as part of the charity I have founded More Than a Face, I have found myself explaining not just why Harry looks the way he does but also why he behaves the way he does too, answering the complex question ‘What is Autism?’ in as simple way as I can. 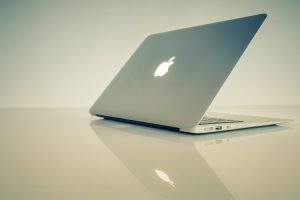 I’m not sure that I explain it in the same way that other parents might and I never claim to speak on behalf of the autism community but I thought I would share today a few of the things that I do say when I am explaining how Harry behaves and why to a child who may have never come across it before. First off, I have to say that I am the Queen of analogies when it comes to explaining anything at all. I don’t know whether that’s my teaching background or just a reflection on the way I learn personally but I find that its easier to explain my point within the context of an experience that people already understand. You were warned! My standard line when I explain Harry’s use of language is ‘he’s technically classed as a non verbal which means he can’t talk like you can but he’s a real chatterbox in his own way’. 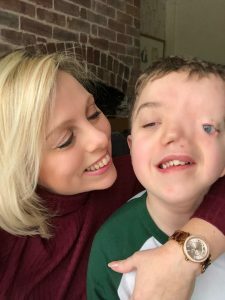 There is no denying that the absence of meaningful and purposeful communication in our relationship is one of the aspects of Harry’s autism that I find really hard, particularly if he seems upset or in pain. He found the few words he does have quite late as many autistic children do and even now there is a lot of repetition, many words I simply don’t understand and plenty which are simply instructions for me to follow such as drink, batteries and biscuits. Still, he has more words than many and I am grateful for the language he does have. Please do have a read of ‘What non verbal means for us‘ to better understand. Harry rocks backwards and forwards, bounces A LOT and flaps his arms around ‘as if he’s trying to take off in flight but not really getting anywhere’. This behaviour is called stimming which is short for self-stimulating behaviour. 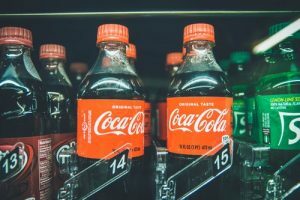 The way I explain it (are you ready for another analogy..) is to say if you shook a bottle of pop hard, all the fizz would build up inside the bottle. Harry is like a bottle of fizz and his stimming behaviours is a way for him to let the fizz out and feel calmer again. Some children also make noises to help calm them down which Harry does but less often than the other behaviours and I hope that explaining it this way helps others to understand that this doesn’t mean Harry is hyperactive and out of control – in fact it’s the exact opposite and that its his way of trying to find some balance (particularly if their senses are overloaded with sounds, smells etc). At this point I also ask children who enjoys bouncing on a trampoline, watching YouTube and eating pizzas? Nearly every hand goes up and I take the opportunity to show how similar Harry is to them as well as different as it’s so very important for children to see the connections. Other drinks are available – obvs! Harry doesn’t interact with others in a ‘typical’ way and is quite happy to play on his own unless he needs something at which point he is likely to find someone so that he can get them to help him. I have seen children approach him and walk away when they realise he has no intention of chatting with them and I would say this. As we all grow up we learn the rules of friendship, playing and being with other people. We build our own world as if its made from Lego – following the instructions given to us by the adults we trust as we construct friendships, routines, relationships and memories. For Harry, some of those instructions are written in a code he doesn’t understand yet. This means that sometimes it will take longer for him to work out how to build things like friendships, and sometimes he will find that his world is just fine without them and he wont mind not having them there. This does make me a bit sad sometimes as his Mum. I want his world to be full of friendships and adventures and relationships with someone to love him. But Harry is happy in the world he is building for himself and so I try to help him construct the best version of the world he wants and as a family we share as much of our own Lego realities with him as he will allow. Basically, Harry will let you share his lego world when it suits him and even though he doesn’t invite you to play with him, it would be lovely if you tried to see the world he is making for himself. All of our worlds are special and unique, just like us. I am always cautious not to make Harrys life sound like a struggle. As much as it can be challenging sometimes for me to plan things or arrange things for us as a family if Harry doesn’t want to or can’t take part, Harry is happy in his own life and I don’t want people feeling sorry for him. Revealing Harrys gifts is always my favourite part of explaining his autism to anyone! I say that because his brain can focus on certain things for much longer and more intensely than most people, he taught himself his letters and numbers much sooner than Oliver by using his phonics board and that he could play the piano from when he was just over 2 years old! Unlike people and animals, numbers, letter and music notes are stable and predictable. This means that they never change and always mean the same thing which is much easier for Harry to work with. I could talk about his piano skills all day but I find that my YouTube video of him says more than I could ever try to and he often gets a round of applause from a capitated audience once they have watched it in assemblies. I never see pity on their expressions at this point, only amazement. I love to say that no matter how different we are, we all have a special gift and that I am super proud of Harry and his. As part of my assembly I always take Questions and Answers at the end and I love how honest children can be in their observations and curiosity. I have been asked which school Harry goes to, if he has friends, what his relationship is like with his twin brother Oliver, how he feels about people staring him (I explain here that his Autism protects him from the hurtful reactions of some people) and whether I ever want any more children (the answer to that one is no thanks, four kids and a dog is more than enough). I also find that some children engage in enthusiastic and persistent conversation. I am never surprised to learn that they are also on the spectrum as one boy proudly shouted to me during a Q&A session recently. My response was to say that there are lots of people whose autism affects their day to day life a bit (like his) and some where it affects life a lot (like Harrys) and that’s pretty cool because it means that no two people are ever the same. If you meet one person with autism, you’ve met one person with autism. The stereotypes of headbanging, isolation and a lack of emotion may be true to a degree for some but not all the time and certainly not for everyone. 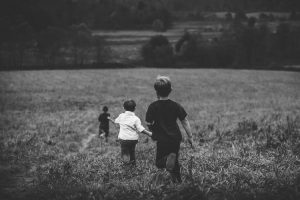 I try to ‘normalise’ autism as much as I can. I know that Harry stands out from the crowd at times due to his yelling and bouncing but a little knowledge can go a long way in educating others. I want children to think before they judge, to try and understand so that if their attempts to interact with him are ignored they don’t take it personally and more importantly it doesn’t stop them trying again. I want children to value each other for the differences they bring to a group, not excluded because of them. 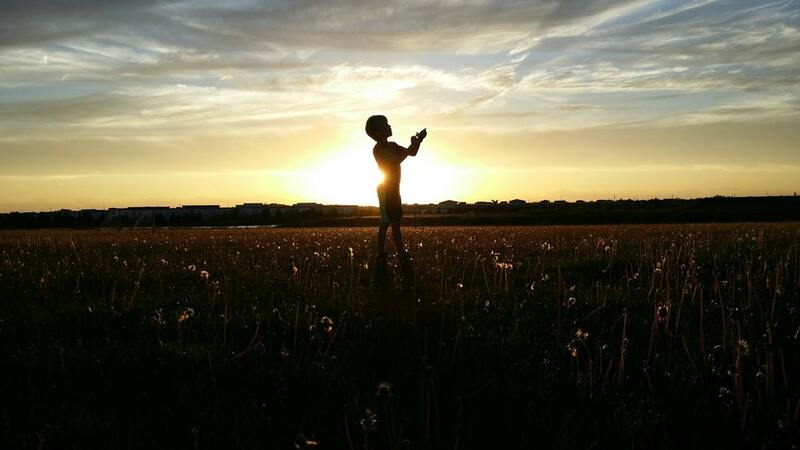 I want children to see my boy for who he is, different face and arm flapping included because all of those things make him who he is and I think that’s pretty special. 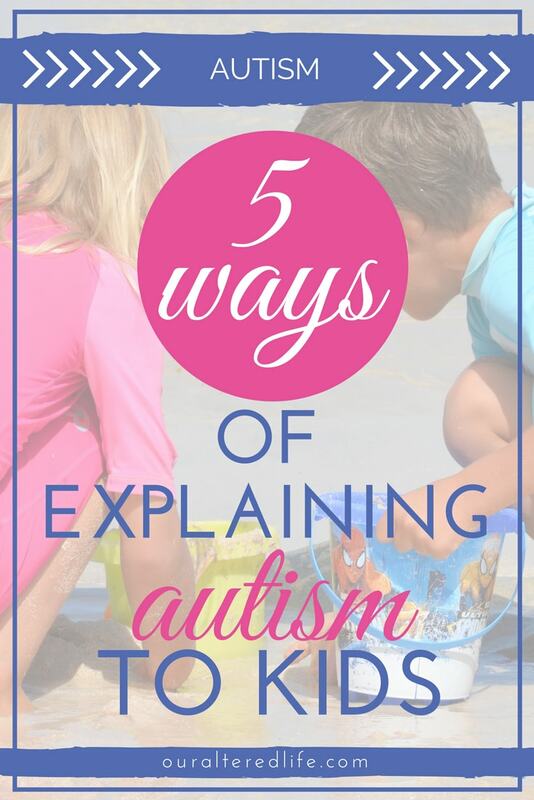 I do hope those explanations help a little bit and would love to hear the ways that other parents explain autism to their children. Together, we really can create the acceptance that all children deserve! Oh my goodness!! Charlie I did not know Harry could play the piano!!! This is so amazing!! He does so well. I play the piano but mostly chord and play melodies. Playing the song out note for note like Harry does is HARD for me so his ability is INCREDIBLE!! Such a Fine Boy!! Beautiful post. Beautiful mom and son. Harry is such a gift. I love your creative and wise analogies to help children understand Harry.